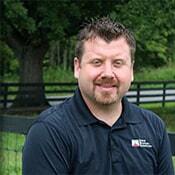 Chris Caudill is the Service Manager for USS. Chris has experience in commercial and residential sales, project management and crew leadership. In addition to being the Service Manager he is currently serving as our Safety Administrator and CEO (Chief Energy Officer). Chris has been with United Structural Systems for seven years. Prior to United Structural Systems, he worked for Mactec Engineering and L.E. Gregg and Associates for six years. He performed special inspections including masonry, structural steel, concrete, foundation and soil/undercut construction. Chris is a Mercer County native but now resides in Garrard County. He has been married to his wife Erica for 14 years. They have two beautiful children; Jackson and Raegan. He enjoys fishing, hiking, and spending time with his family.